Brian J. Hindman is a partner in the Worker’s Compensation Defense practice at Wiedner & McAuliffe. Based in the firm’s Chicago office, Brian also works out of the firm’s Rockford and Indiana offices handling all aspects of workers’ compensation litigation. Licensed in Illinois and Indiana, he routinely appears before the Illinois Workers’ Compensation Commission and the Indiana Workers’ Compensation Board. Throughout his career, Brian has represented insurance companies, factories, retailers, trucking companies, large self-insured companies, and auto manufacturers. Brian partners with his clients to determine the best course of action for each matter. He pursues the most cost effective and reasonable approach, helping avoid lengthy litigation. Brian often counsels clients with seminars and presentations on case law application and practical approaches for successful handling. 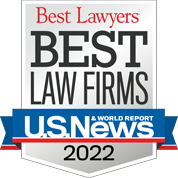 Brian has been recognized as a Super Lawyers Rising Star since 2013. A former collegiate swimmer at Washington University, he now enjoys competing in triathlons. Brian proudly co-founded and serves as director of the non-profit organization Humanitarians for Education and Recreation Outreach (HERO), an organization that donates school supplies and sports equipment to children in developing communities. He also participates in mentoring students through Wiedner & McAuliffe’s support of Legal Prep Academy.